So today I’m here checking some of these organic romaine lettuce here, romaine hearts that they’re gonna be harvesting pretty soon. And, I’ve been having lately a problem with thrips. Now, and by the way, when even when it’s singular, you say thrips with an S, which is very odd. But if you ever get into a discussion with an entomologist and accidentally say thrip as a singular, he’s gonna give you a hard time for it. So, anyways, but I’ve been having a huge kind of a problem with thrips, as it’s been untypically warm this time of year here in the desert. And so, the best way to control thrips, in my opinion, is you’re gonna want to use a product with the active ingredient spinosad. 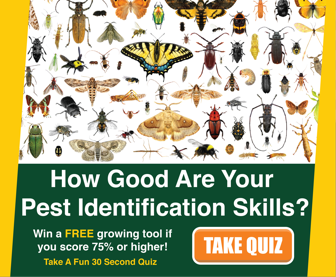 That is the most fast-acting thrips material that’s going to smoke the thrips pretty well. It’s gonna work fast, it’s gonna knock ’em down, and if you’re in a bind that’s probably the best thing you want to use. 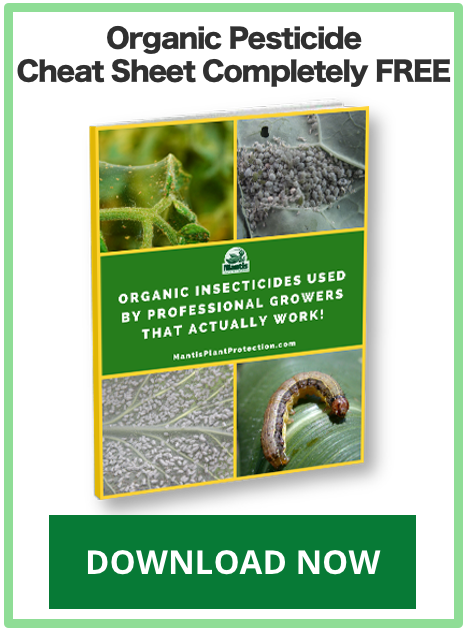 As more of a maintenance program, as a preventative program to keep thrips out of your plants, I would start with a ration of an azadirachtin or neem oil, but preferably azadirachtin base type of product, and you’re gonna want to apply every week. 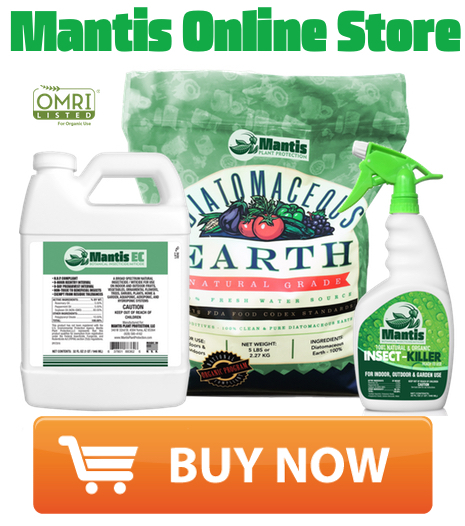 You could also mix that with a insecticidal soap of some sort and then, of course, Mantis EC would be another very good thrips material on a regular maintenance just to keep your plants clean. Now, with all these products, not so much with the spinosad but because it just works that well, but with most of these products…with the other contact products that I’m talking about the insecticidal soaps, the azadirachtin and Mantis EC, you want to get really good coverage because these products have to come into direct contact with the thrips in order for them to work properly. So you want to get really good coverage, and you are gonna want to spray organically on a regular basis. You want to keep the thrips out of there. That’s the best way to do it. 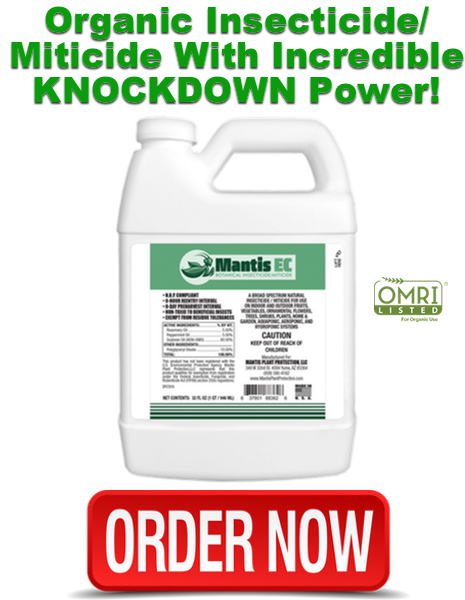 And, if you really want to knock the thrips out, I’ve done a lot of work here in the open field, take mixing a spinosad-based product with Mantis EC, and the results have been fantastic. The two combined, even though a spinosad works pretty good, with the addition to a Mantis EC, the two combined provide statistically better control than just the spinosad by itself. And that’s because, as these…the Mantic EC acts as a penetrator. So, it’s going to physically penetrate the insect’s cuticle and break it down. And by doing so, that exposes the insects, the thrips in this case, to the spinosad treatment. So making the spinosad treatment much more effective. And that’s a very good option when you are at the tail-end or you need to really clean things up quickly. 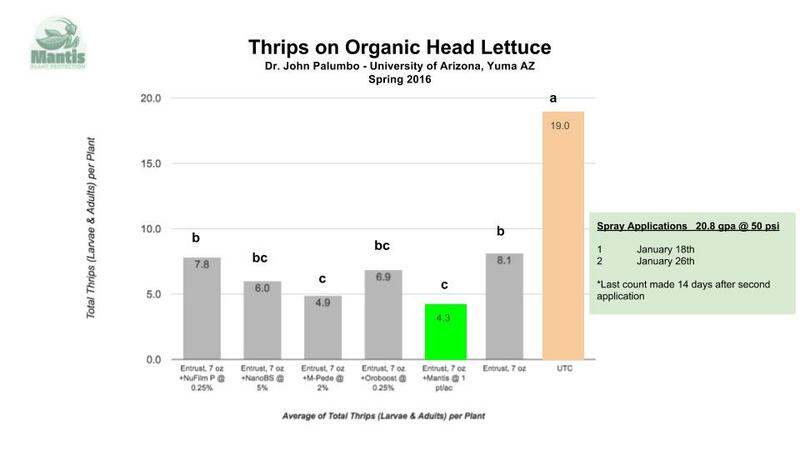 So, there’s my take on thrips control in organic production. 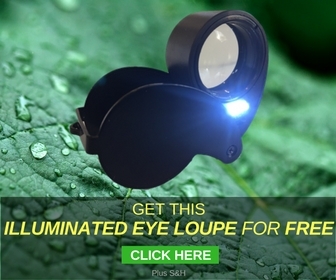 And if you have any questions, please e-mail me, and if you would like a free Mantis hand-lens, just go to mantispp.com/freehandlens and I’ll set you up.